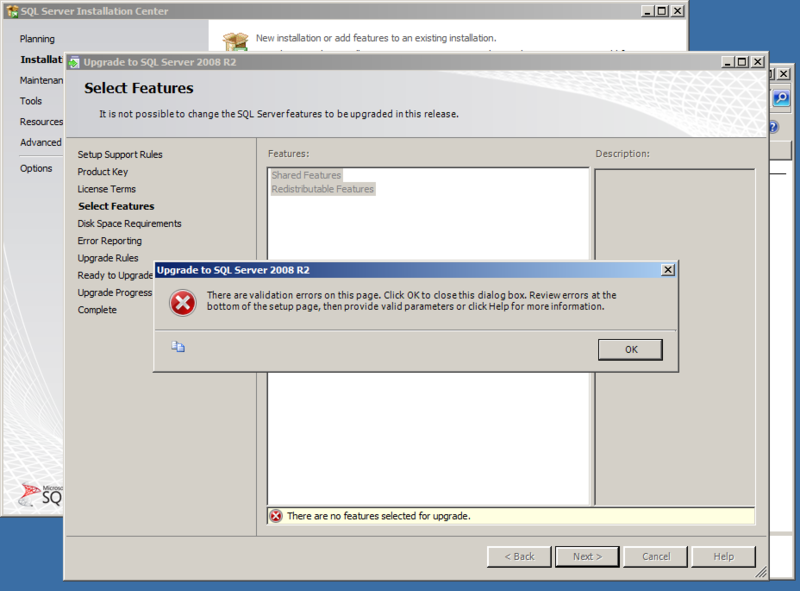 SQL Server 2012 Master Data Services Error: The required .svc handler mappings are not installed in IIS. Internet Information Services (IIS) is not configured on this server. The required .svc handler mappings are not installed in IIS. For more information, see http://go.microsoft.com/fwlink/?LinkId=226284. For web application requirements, see http://go.microsoft.com/fwlink/?LinkId=215355. 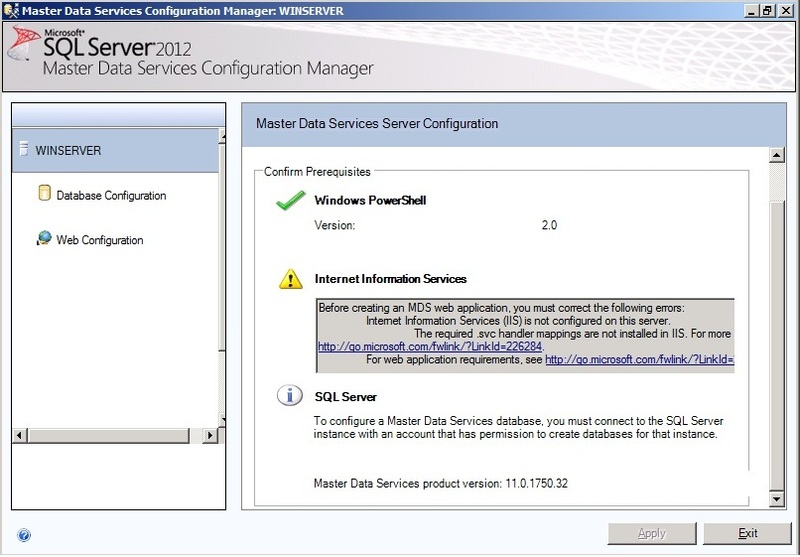 Running Master Data Service Configuration Manager with a local account (non-domain user) on a server joined to a Windows domain. The workaround is simply to join the server to a Windows domain and launch Master Data Services Configuration Manager with a domain account that has administrator privileges. In my case, after I joined the server to a domain I was able to complete by MDS configuration. Many thanks to Reagan Templin for her above and beyond customer service. She followed up on this issue directly with the MDS Team after I posted a message on Twitter about the issue I was having and kept me posted with updates towards resolving the issue.